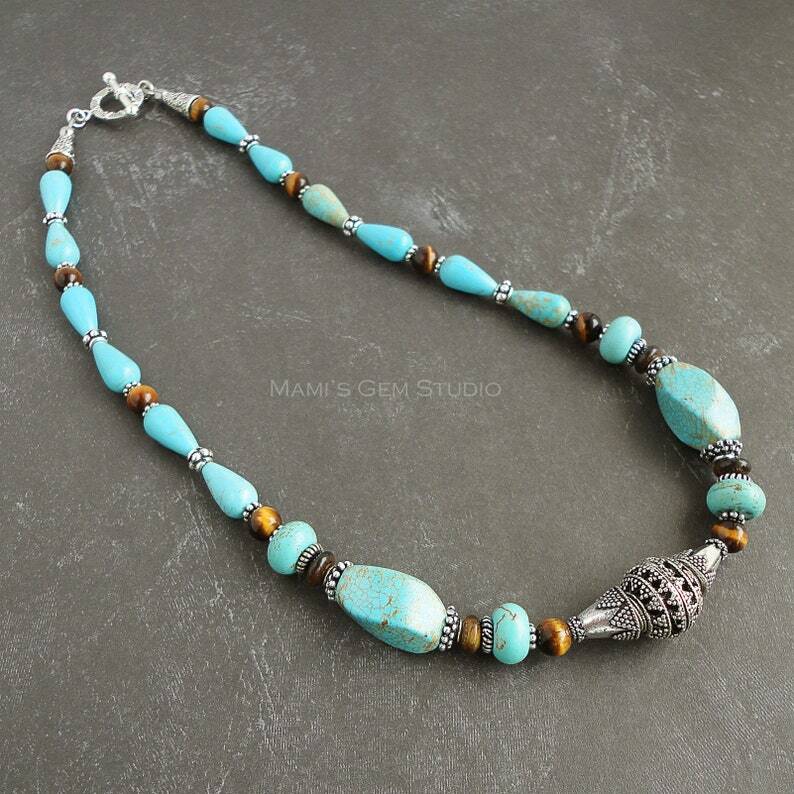 I designed and handcrafted this stylish necklace with a bit of exotic touch, featuring semi-precious gemstone beads of Magnesite in a turquoise looking blue-green teal hue with brown veins and Tiger Eye with beautiful golden brown luster. I have added a detailed artisan metal bead and metal caps/spacers in antiqued silver finish to accentuate and embellish the necklace. Finished off with a toggle clasp. All metal materials are lead-safe. Just gorgeous! The 1st to 3rd pictures are of actual item you will receive. Note: The last picture shows a matching pair of earrings, which is not included in this listing.